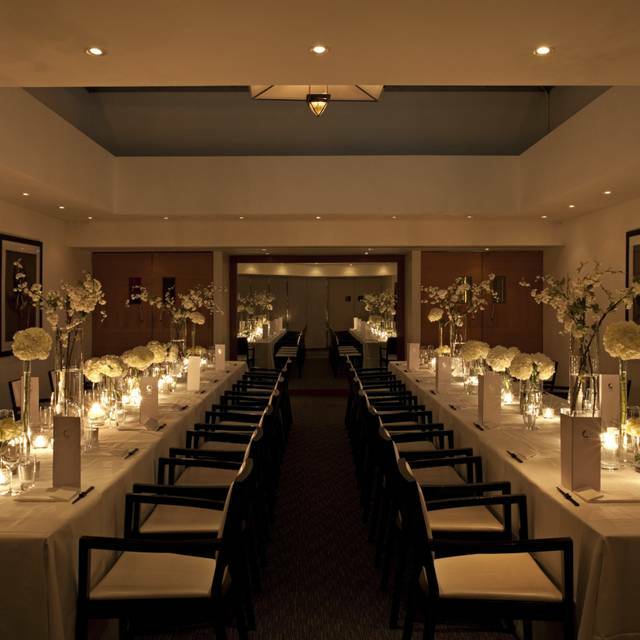 You must make bookings at least 5 minutes in advance of the time at Nobu - London. 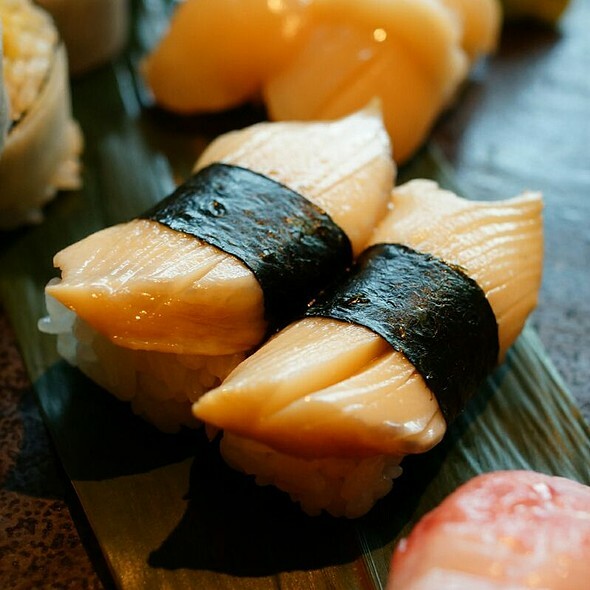 The menu at Nobu London, draws heavily on Matsuhisa's classic Japanese training as a sushi chef in Tokyo, as well as on South American influences gained during his extensive travels. 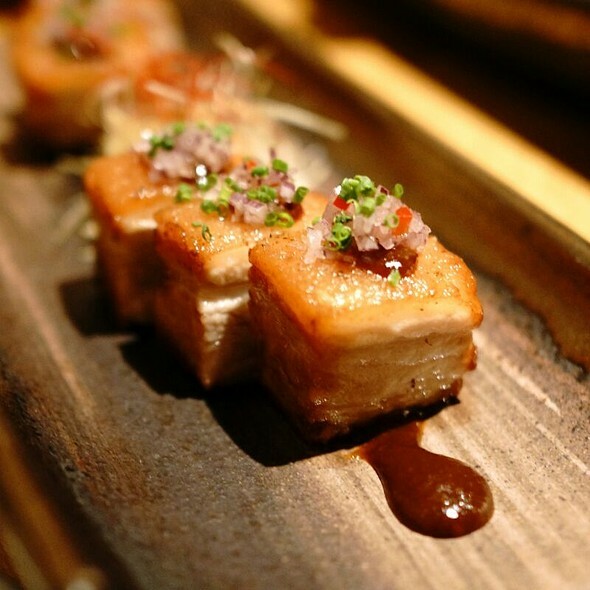 The resulting "new style" Japanese cuisine has become both his trademark and the foundation of his success. 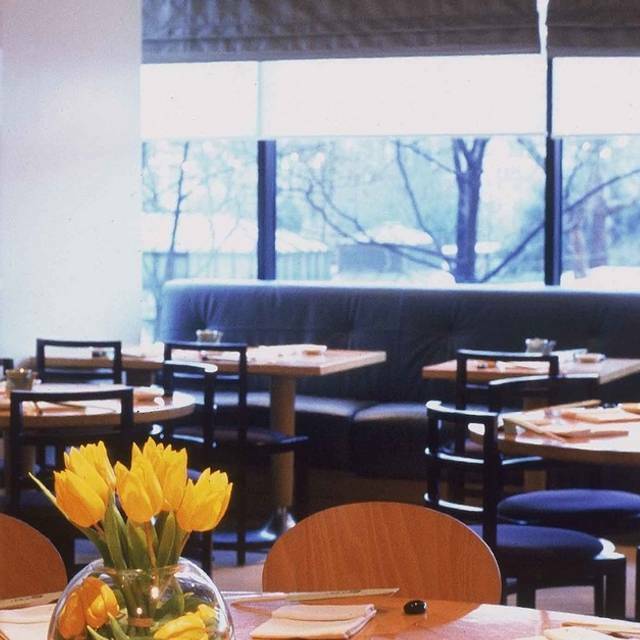 With its own street entrance on Old Park Lane, the 150 cover restaurant includes a separate sushi bar and enjoys commanding views across Hyde Park through full-height windows. 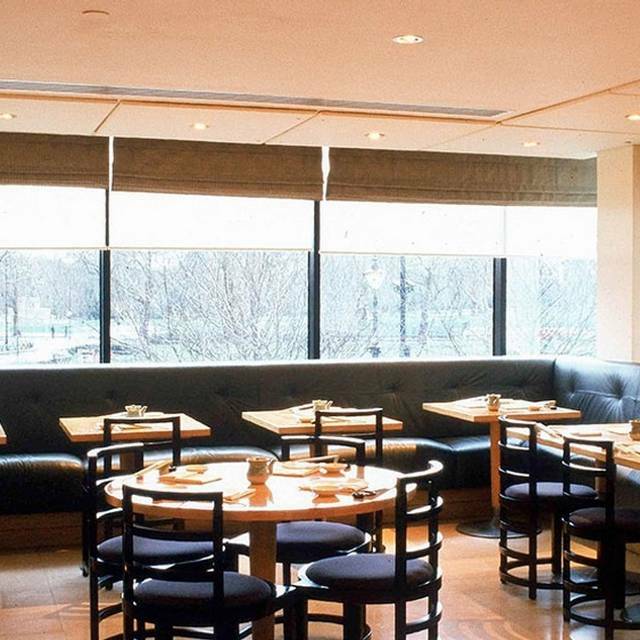 Designed with simple elegance by United Designers, the interiors make subtle use of light woods and natural stone to reflect the diverse influences of Nobu's cuisine, incorporating the purity and quality materials inherent of traditional Japanese design. Expectations were higher than the food and experience delivered. 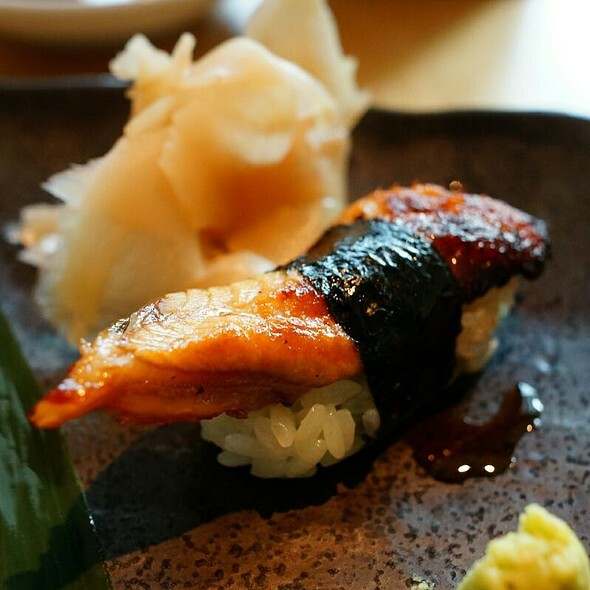 Although the miso black cod was excellent, our service seemed rushed and the ambiance of Nobu London fell extremely short of our expectations. The server was very nonchalant, uninspiring and not friendly. Made for a very average experience. Couldn’t answer simple questions. Service remains terrible. We only come because the food is so good, every time the service lacks- you are either ignored for ages or rushed, not friendly, and they shut the kitchen without telling you. Given how expensive the food and drink is, the service should be 5* like it is around the rest of the world. Excellent food as usual, waiters who can explain in detail what's on the menu, its not cheap but why would it be when it's so consistently good. Been here many times and will continue doing so, we do not live in London and drive over two and a half hours for lunch WHY NOT??? Food is consistently very good. Our waiter recommended a couple of new dishes which were lovely. fantastic service and high quality food but was surprisingly quiet although it was a wednesday lunchtime. We enjoyed the lychee cocktail and cucumber gin cocktail which were delightful. Very disappointing! Having heard good things about Nobu in other locations I was looking forward to dinner at Nobu in London. Area and sidewalk in front of restaurant was filthy and uninviting. Facade and entrance were dated and faded, not appealing. Staff was confused and appeared uninterested in their jobs. Food was "OK" but flavors were unbalanced and presentations haphazard. This may have been a good restaurant at one time but I was completely unimpressed. Really enjoyed it. Went with friends who were nervous about the raw fish etc. but everyone loved it. The staff were really helpful and attentive. Is definitely on my "will go again" list. The staff were very professional and both my son and I appreciated all they did to ensure he had a great birthday dinner. the food is amaizing but the plac should be renovate. Quality of food was amazing. This was a special occasion and Nobu didn’t disappoint. From the delicious cocktails on arrival to the wonderful service with recommendations for dishes to order it was fantastic... and then the food! The signature salt cod was divine and the yellowtail sashimi were both outstanding. A top notch experience. Really looked forward to this meal as part of our honeymoon experience. Made sure I’m not in jeans and t-shirt to enjoy the experience. Was quite taken aback when I see diners turning up in jeans and non-collared shirts. There wasn’t a proper basket or bag hook for ladies and they had to dine with bags on the floors. I understand that the stars are no longer valid for this establishment but would still prefer these fine details to have more attention paid to. But the food was good, service attentive, though I will just view it as a upmarket casual joint, judging from how the other diners have no respect for dress code, it’s a shame that it mars the experience of the good food dished by the Chefs. Keep up the cooking! All the best! We loved it ... Food is exquisite!! Very relaxing place !! Definitely visit you again ! Staff was super friendly and helpful. I loved the place and all the staff made my birthday really good. Prestigious brand name that overcharges because it can. Food is decent but not value for money. 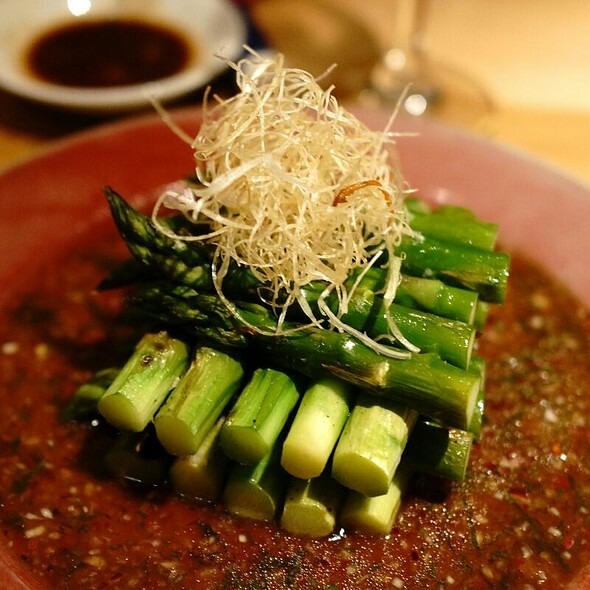 Since Nobu set the erect benchmark for Japanese food in London many other places have since open and are just as good if not better at lower prices. The restaurant interior is reasonable but probably due a make over. It’s a decent venue for big groups as bustling and lively. The restaurant was very basic and underwhelming, we left after starters. As always, Nobu delivered on food and service. Amazing food and service was excellent. The staff are very good and the location is the best. Overlooking Hyde Park. Utterly delicious, always delivers, consistent but expensive. The food was excellent as expect it. We did the tiradito the spicy salmon the miso cod. My friend order the fried rice with salmon it took a some time to figure it out. The spinach salad with prawns was superb. Really recommended if you are into keeping your calorie count. For dessert the chocolate Bento box was Paradise for my friend and as I am on a diet they have this really amazing yogurt with berries under 90 calories so there you go if u need this info. Service was super nice. And we try a new drink. Forgot the name but is like a Margarita but with sake. I loved it!!! “Coccolati” da una donna straordinaria: Francesca!!! Non ci ha fatto solo assaggiare buon cibo, ci ha regalato sensazioni indimenticabili! This is a very nice restaurant and the food was great. Worst Nobu we have ever been to. Have been to many international and other London Nobus and the service and food is dire in comparison. 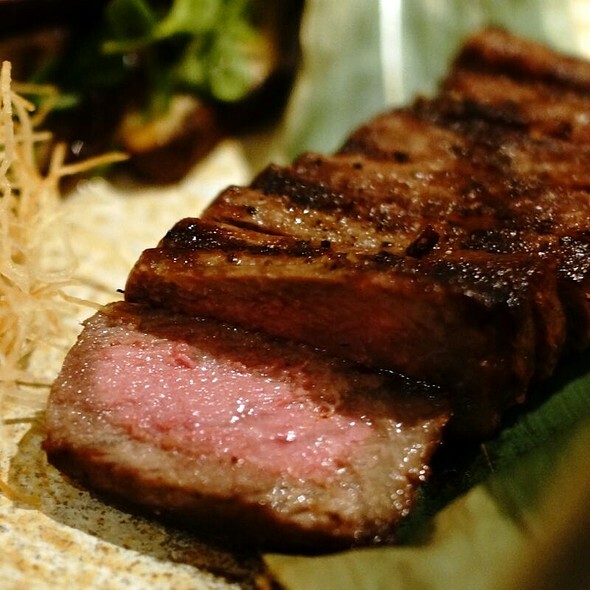 Our Beef TobanYaki was so tough we could barely chew through it. The Mushroom TobanYaki had no taste and I had to ask for salt from the waiter- who turned his nose up at the request. It is extremely dated inside and feels like you are sitting on wooden school canteen chairs and tables. We hadn't even been given a drink menu when the waiter asked for our choices. He was unwelcoming and unfriendly, with a sarcastic and stand offish demeanour. Plates were cleared from our table when we were still eating! When I expressed our disappointment he agreed and said he knew it needed to change and he and all the staff were fed up! I suggest if you’re not happy at work and provide a terrible service as a result you should maybe look for another job. He then got the card machine alongside a Manager- resulting in me trying to talk to two people at the same time- one wanting payment and the other to see what our feedback was. When i told him of our disappointment in all aspects he advised he would make a note of it. No apology, no offer of any service taken off the bill and no gesture of good will. This restaurant has truly lost what it was from all those years back. Don’t bother, so many more fabulous options nearby. We had both tasting menues with recommended wine to go along. Total prize nearly 500. The food and wine was good. However not nearly qualified as a 500£ dinner. The service was very good, but could have been a bit more personal. The restaurant lack atmosphere, and I had the feeling of dining in a large lunch room with much noice. Want to spend a lot of money for a dinner, go somewhere else. It was okay but nothing outstanding you have to visit! Birthday dinner with the kids. As always, NOBU delivers the best dining experience you could hope for. This was a sublime dining experience! 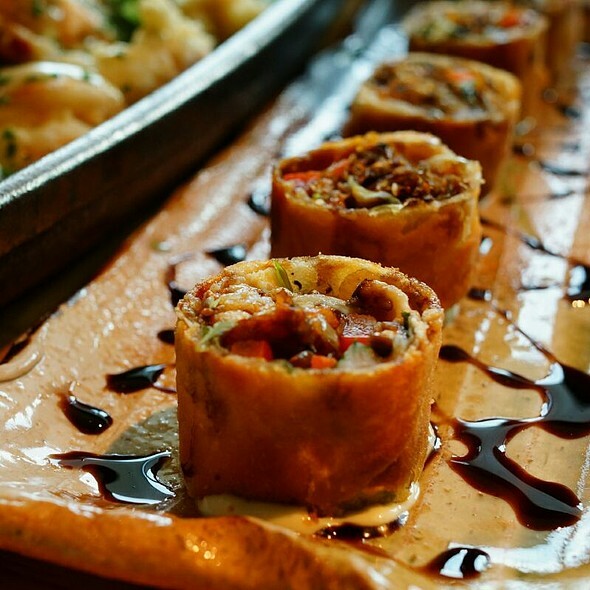 Outstanding, joyful service, outstanding food. Lovely environment with no intrusive noise and great views of London. Every single dish was incredible and the saki recommendations were brilliant! The ‘Nobu-Hype’ is no hype and this restaurant has absolutely hit every possible dining high note. Six people dined, and six people are planning our return visit. Thank you very much to all the staff in and outside the kitchen!! One of the worst dining experiences ever and even more disappointed as we had such high expectations. The service was absolutely appalling. We were left for 20 minutes before being able to order drinks and nearly 20 minutes more for them to arrive. Absolutely no interest from staff in providing a positive experience and whilst the food was very nice it was just that. We were expecting something exceptional which simply wasn’t delivered which resulted in very very poor value for money. Do not waste your time going here. London has so much better on offer. Horrible service and very poor quality O Toro fish, poorly cut. I real disappointment. Our waiter had an attitude, he took forever to even give us water. Extremely over priced for the experience we had. Lovely Valentines Dinner, great service, food and ambience, a special evening. Make sure you book!